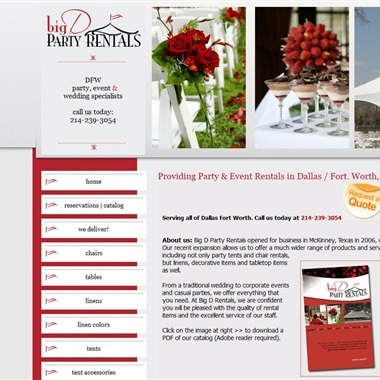 Select photos you like; we'll recommend wedding furniture and event rental services in Dallas Try now! 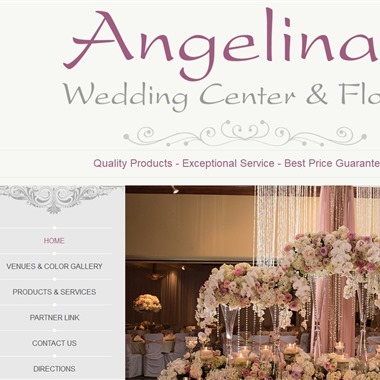 Angelinas Wedding Center & Florist was established to help make the most important day of life as memorable, as effortless and as perfect as possible, in addition to saving you time and money. Slogan: Quality Products - Exceptional Service - Best Price Guaranteed! 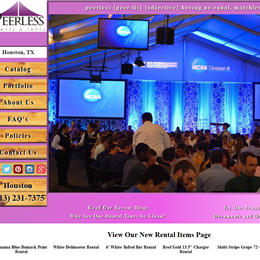 AM Linen Rental offers a variety of services for businesses in the event industry. 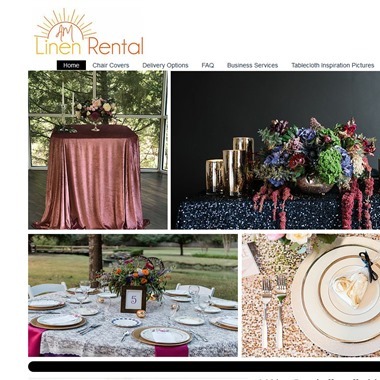 Whether you need tablecloth and chair cover rentals, tablecloth laundry service, or weekly linen service, they would be honored to have the opportunity to earn your business. 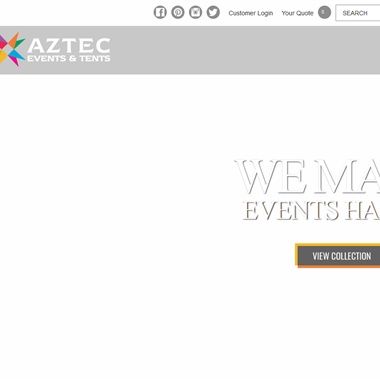 From a traditional wedding to corporate events and casual parties, they offer everything that you need. At Big D Rentals, they are confident you will be pleased with the quality of rental items and the excellent service of their staff. 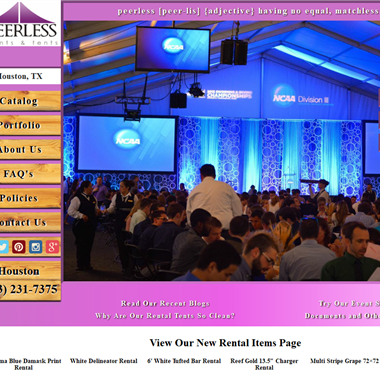 Luxury event rentals specializing in premium seating. 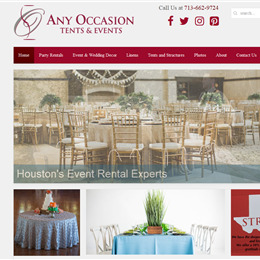 They rent Chiavari chairs, Chiavari barstools, ghost chairs, ghost barstools, cross back chairs, Louis dining chairs, farm tables, acrylic tables, banquettes, sofas, accent chairs and dance floors. 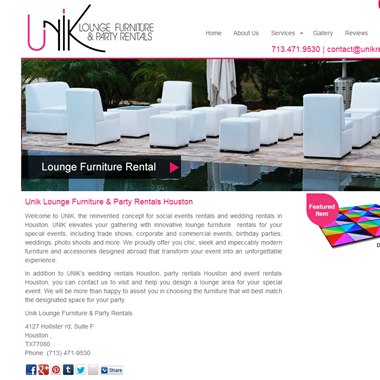 "In addition to UNIK’s wedding rentals Houston, party rentals Houston and event rentals Houston, you can contact us to visit and help you design a lounge area for your special event. We will be more than happy to assist you in choosing the furniture that will best match the designated space for your party." 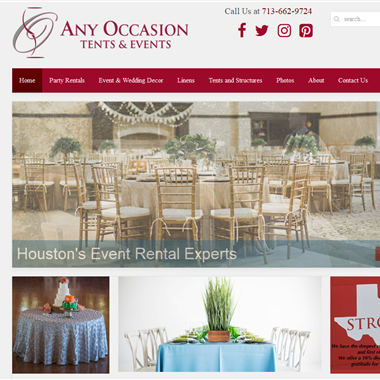 Unless you are using a full-service wedding venue or caterer, chances are you will need to rent any number of items for the event, from furniture, linen, to tableware. For an outdoor wedding, a tent may be your most crucial wedding rental. When deciding on the size of the tent, consider dance floor, a band area, and sufficient space for the food and bar setup. There are many rental companies, but the deciding difference may not be the price. 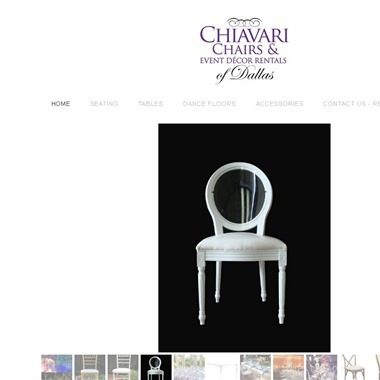 You want to look for quality to avoid ending up with questionable chairs and stained tablecloths. 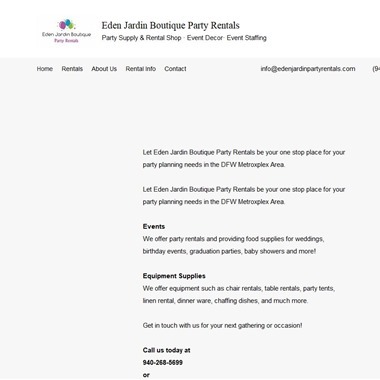 Our event rental companies have everything you need. 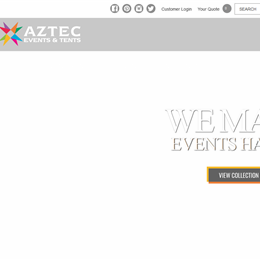 Take a look at their style and available items. You want quality rentals at the best price. As an added bonus, rented tableware requires no special cleaning. Simply place in a bag and return. Your wedding rentals are all about the details – colors, shapes, and texture. 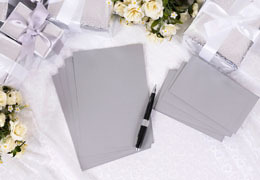 Lovely items create an atmosphere of charm and celebration and contribute to the overall aesthetics of your wedding day. 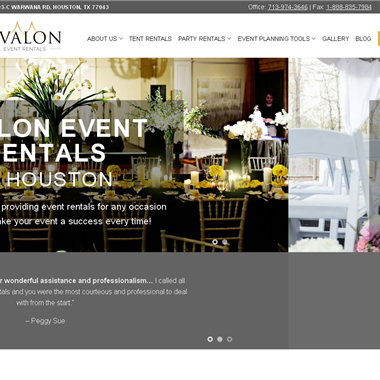 When planning your wedding rentals, think beyond tables, chairs, and linens. Think photo frames for an interesting arrangement of family photographs. Candle holders, card holders, vases, and other special decorative items add a personal touch to your wedding reception venue. These items can all be rented at a low cost. Rental companies handle both pickup and setup, saving you plenty of time and effort. Don’t you have better things to do on your wedding day than collecting napkins and vases?